I’m stuck! For the past 8 years I have been trying to trace my Sleath Family and it hasn’t been easy. They of course couldn’t be consistent in the spelling of their surname, and this is only the first of many issues. I started out by tracing my Grandmother, Sarah Jane Sleath, born 13 Aug 1869 in The Outwoods, Shropshire. Things seemed to be going well and I located her father, George Sleath born in Hinstock, Shropshire in 1830. 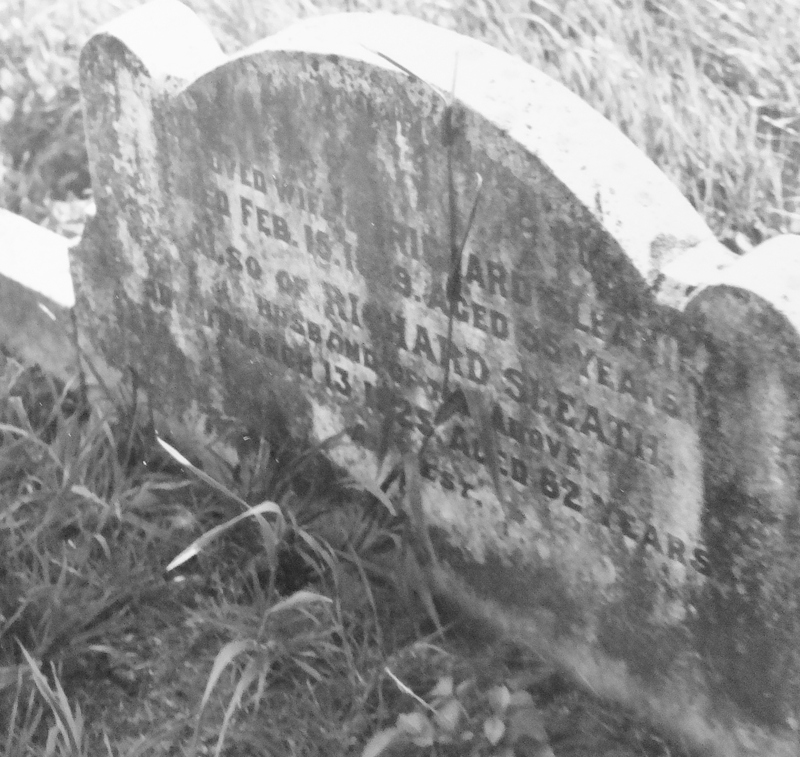 His father John Sleith, I found in Church Eaton, Staffordshire. John Sleith (note first change of spelling for name) was christened 17 Mar 1805, the son of William Sleith of Church Eaton. I knew this was the right connection as St. Editha’s Church Cemetery is the burial place for a number of my Sleith’s. Richard Sleath, George’s brother, was born in 1843 in Sydney, Shropshire and buried at St Editha’s. I took the photos in 1979 on my first trip to England, long before I got into searching my family history. Oh how I wish I would have asked those “oh so important questions” when I was there and my relatives were still alive. William is christened as William Sleeth (2nd change of name) 22 Mar 1769 at Church Eaton, Staffordshire, the son of Benjamin and Mary Sleeth. I thought how well I was doing until I started to trace Benjamin Sleeth. This is where the problems arose. I have been able to find in the Parish Records for Abbotts Bromley a marriage for Benjamin Sleeth and Mary Quinton on 14 Feb 1753. There are no other Sleeth or Quinton names in those parish records so likely the couple was from elsewhere. William(1769) is the only birth I have been able to locate for parents Benjamin and Mary Sleeth under various spellings. Benjamin Sleeth is buried in Bloxwich, Staffordshire in 1798 (NBI) and Mary Quinton Sleeth is buried there as well in 1788(NBI). I have not found a baptismal record for either person.Where was this couple in the years following their 1753 marriage to 1769 when William is christened at Church Eaton? Did they have other living Children? Did earlier children die? Is William really their Child? Did they not baptize their children? Are the records simply not yet on the internet or are they lost in transcription errors? I wasn’t quite correct when I said that I found no more births for Ben and Mary Sleeth. In 1772, at the British Lying in Hospital (for “poor and distressed married women”) in Endell Street, St Giles in the Field in London, I found a record for male child born to Benjamin and Mary Sleeth. I would have discarded this as a possibility as I know there are many Sleeth’s/Sleith’s/Sleath’s born in the London area, however they listed their Parish of Abode as Rugeley, Staffordshire (6 miles from Abbotts Bromley) and he was a Gentleman’s Servant. Another record for the same birth date, lists a girl Jane as being born to Benjamin and Mary Sleith. Maybe Benjamin had been hired in Staffordshire and came to London with his Gentleman. Did his gentleman live in London with a country house in Staffordshire or did his Gentleman live in Staffordshire with another house in London? I kept looking in that area and discovered a Richard born to Benjamin and Mary Sleith in Wandsworth, Surrey in 1767. Wandsworth in those days was rural and agricultural. Was this the same Ben and Mary? Did the Gentleman have a home in this area? Was talking to someone recently and she suggested that perhaps as Ben and Mary had not been able to have children in the first 16 years of marriage, they adopted a child whose mother died in childbirth or who had given away an illegitimate child and called him William. Adoptions weren’t formalized in those days. Or perhaps, one of their Sleeth family had an illegitimate child and they took him in as their own. Another possibility is the family was NonConformists and the births were not recorded or they haven’t yet shown up in the NonConformist Records. Haven’t found a birth for either Benjamin or Mary. There is a Sleeth who is having children in the early 1700’s right for the time of Benjamin being born but they do not christen a Ben at the Great Presbyterian Meeting House in Leicester where their other children are christened. He is a Baker. 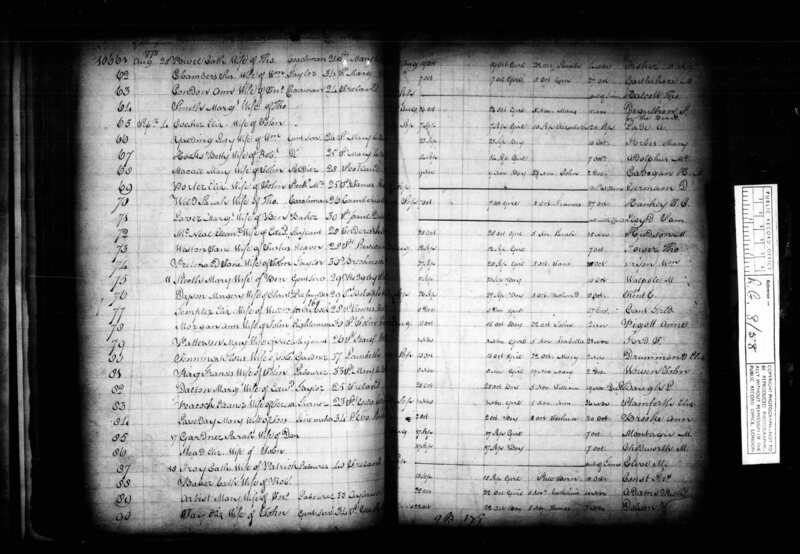 Also a Benjamin and Mary Sleath have children in Husband’s Bosworth, LEI up to 1711 for recorded births, but no Ben. Husband’s Bosworth is only 45 miles from Rugeley. There are Sleeth’s having children in Walsall, Stafffordshire but no Benjamin’s. SO I’M STUCK AT THIS POINT…… where do I g0 next? Well perhaps it’s time to take a look at the manors in the area and who owned them. Maybe I can locate Benjamin’s Gentleman!